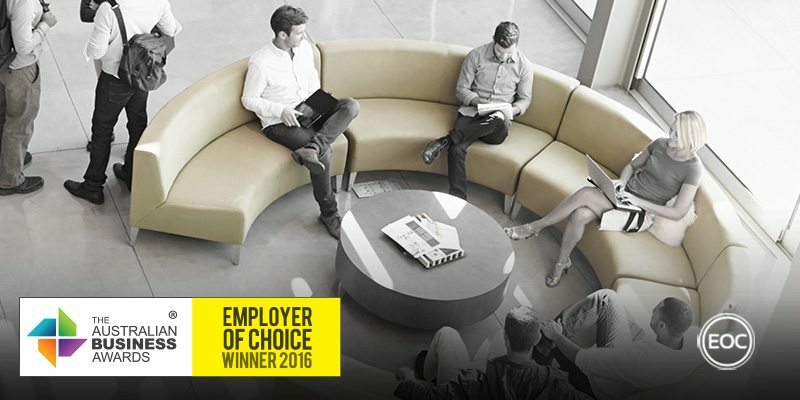 Accident Compensation Conciliation Service has been recognised as an Employer of Choice in The Australian Business Awards 2016. “The Accident Compensation Conciliation Service (ACCS) is an independent statutory body corporate providing alternative dispute resolution services for workers compensation disputes in Victoria. These services are used by injured workers, insurers, employers and benefit the wider Victorian community by helping minimising the associated financial costs, delays and stress involved in these types of disputes. “We maintain our focus on service to the community. Having clearly articulated service goals help the ACCS to foster a values-driven working environment. Providing an excellent and sustainable service to stakeholders depends very much on providing staff with the support, flexibility and tools they need to perform consistently at an outstanding level. This is particularly important as we are often dealing with people who are experiencing challenging circumstances. The Accident Compensation Conciliation Service (ACCS) is an independent statutory body corporate providing alternative dispute resolution (ADR) services for worker’s compensation disputes in Victoria. They employ up to 95 people, who are committed to providing conciliation participants and stakeholders with high quality, compassionate and unbiased service. ACCS focus on aligning their workplace culture with strategic objectives, fostering collaboration and open communication by consulting with staff via surveys and meetings. ACCS provide employees with time and space to gather informally during the working week through team morning teas. Their kitchen facilities, which include a library, are used regularly to celebrate milestones and host professional development training. ACCS has undertaken a number of training initiatives to further the professional development of their employees, including: internal mentoring, external training, study assistance and job rotation. As a result, they delivered a total of 561 days of training to staff in 2014/15. In addition, ACCS provide employees with access to resources such as Worksafe programs, online research databases, monthly compensation newsletters and professional memberships. These initiatives aim to provide employees with a range of training options and easy access to relevant and updated information. They’re also committed to the health and wellbeing of employees, participating in a state government initiative called the Healthy Together program, which promotes workplace health and wellbeing. Best practice OH&S policies are also in place, as well as flexible leave arrangements for employees that recognize professional development. To assist in developing ongoing effective HR strategies, ACCS staff may contact People and Culture, the dedicated HR team at WorkSafe. People and Culture assist in developing organisational design strategies, provide change management consultation and assist in improving understanding of effective people management.